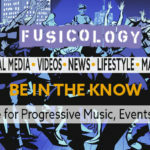 All Winter long, Fusicology is offering targeted & affordable email blasts – choose a date to get the word out and get the 2nd blast FREE for the same promotion or for the use of a future promotion – anytime before March 31, 2015. Promote your Event and take advantage of our social media and banner ad placements included in all packages. Same deal to market your new music and/or service to our niche, targeted audience with highly regarded site & app features and social media services. It is always FREE & easy to Upload Events to our website calendar and to Submit Music & Videos. Check out our Company Deck & Media Kit for our stats, subscribers and all info. Contact Us here or below for a response within 1 business day.